You’ve found devotionals uplifting. You’ve heard the thoughts of other Christians on forgiveness, faith, anxiety, prayer, and other notable topics for believers around the world. You’ve loved these books for the sense of community they provide and the sincerity with which they address the Christian life in the modern world. Yet something is missing. Where is the acknowledgment of the persistent sexism that still renders people unequal? And where is the awareness of racism and the damage it does to human bodies, minds, and souls? And where is the realization that faith must be practiced in the real world of family love and loss, workplace challenge and conflict, and an unceasing news cycle that serves up instant information and heartbreaking violence each day? 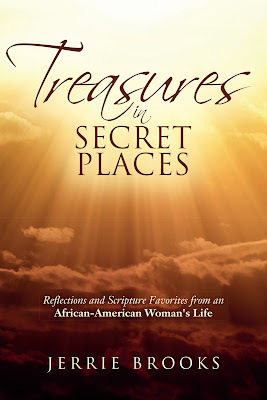 Treasures in Secret Places never shies away from such difficult subjects. In addition to traditional devotional topics, this book openly addresses the oppression faced by women and by people of color. 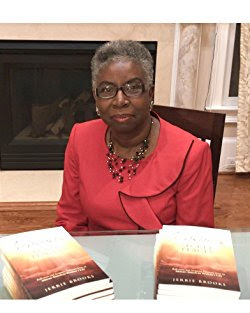 With strength and compassion, the author approaches contemporary topics through reflections on her own experiences balanced with scriptural encouragement. Ultimately, this book demonstrates that when you walk by faith, God walks with you, fortifying all of His children against whatever challenges the world sends them. Jerrie Brooks lives in Georgia with her husband and two dogs. She gardens, volunteers at her church and supports local scholarship and educational programs. A retired program administrator, Brooks has found that writing gives her the opportunity to spread the Word of God and share what He has done in her life. Her other published works include Presenting Rosa Guy, book reviews, and training materials.